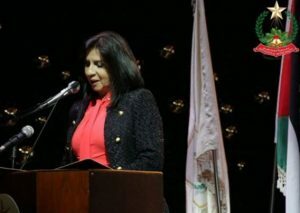 The Mayor of Bethlehem, Vera George Baboun, delivered this years’ Christmas message of peace and justice during the annual official Christmas tree lighting ceremony, held on December 4th, at the Manger Square in front of the Church of Nativity in the Palestinian city of Bethlehem. The ceremony was carried out with the participation of many officials, scout troops, religious and social figures and thousands of locals. She added that the participation of children in these official celebrations and ceremonies to light the tree was meant to embody the real message of Christmas, a message that compassion and mercy are the spirit of Christmas. The celebration started with the lighting of the tree, while local scout troop bands played the Palestinian National Anthem. Palestinian Prime Minister, Dr. Rami Hamdallah, and many officials, social and religious figures, and thousands of Palestinians, and tourists, participated in the celebrations. It is worth mentioning that the Oslo Philharmonic Choir, and a choir of nuns from Malta, in addition to various local artists, played Christmas music, and sang religious songs and songs for peace, during the ceremony. Dr. Hamdallah said that the Israeli occupation is denying the Palestinian children the right to a peaceful childhood, and added that Israel is still holding captive more than 350 children, in addition to keeping its deadly siege on the Gaza Strip and engaging in ongoing violations, including attempts to remove the indigenous Palestinians from occupied Jerusalem. Patriarch Moran Mor Bechara Boutros al-Rahi, the head of the Maronite Church, said that the star of Bethlehem will always shine, and the Christmas tree in the city is an invitation to all to light the candle, the flame, of faith, of peace and justice. He called on the international community to act and lift the injustice inflicted on the Palestinian people by the ongoing illegal Israeli occupation. The Mayor of Lourdes – France, Bourdeu Josette, who attended the celebration sent a message of peace from her city, and spoke of the sister-city relations linking Bethlehem with Lourdes, and the joint message of peace and love. Israeli authorities, on Tuesday, prevented Dr. Isabel Perry from entering into the occupied Palestinian territories (oPt), claiming she is an activist of the World Council of Churches, which supports the boycott movement against Israel. Local media said, according to Al Ray, that it is the first time the Israeli occupation prevented a tourist because of activity in the boycott movement. The Interior Minister of Israel, Arye Deri, and the Minister of the Public Security and Strategic Affairs, Gilad Erdan, were responsible for making the decision of blocking Perry’s entry. Dr. Isabel Perry, a citizen from Malawi and an expert in religious affairs, arrived at Ben Gurion Airport on Monday. A bill preventing supporters of the Boycott, Divestment, and Sanctions (BDS) movement from entering Israel was authorized in early November, for its first reading in the Knesset. Deri considers approval of Perry’s request to enter the oPt to be encouragement for activities which are in opposition to Israel’s policies. Christian religious figures have called for necessarily protecting the Arab identity of Jerusalem and its Christian and Islamic holy sites against Israel’s Judaization policy. 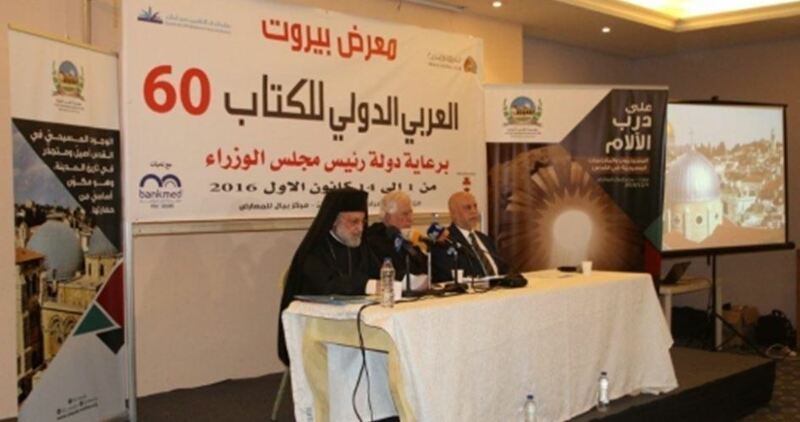 This came during a symposium on Jerusalem and its Christian holy sites organized in Beirut by al-Quds International Institution as part of the activities of the 60th International Arab Book Fair. In his speech, father Antoine Daou, secretary-general of the Episcopal Commission of the Islamic-Christian Dialogue in Lebanon, stressed the importance of upholding the Arab identity of Jerusalem to protect its history, presence and future against Israel's Judaization activities. For his part, Greek-Orthodox church Bishop Luke Khoury said that “the Christians in Palestine and Jerusalem are exposed to cruel persecution by the Israeli occupation,” which he accused of seizing their lands and properties and attacking churches and monasteries. “The Zionist occupation’s measures have displaced the majority of Christians from their towns and villages and forced others to migrate under the yoke of obnoxious occupation, while a group of them are still steadfast living in very harsh political, security and economic conditions,” he said. 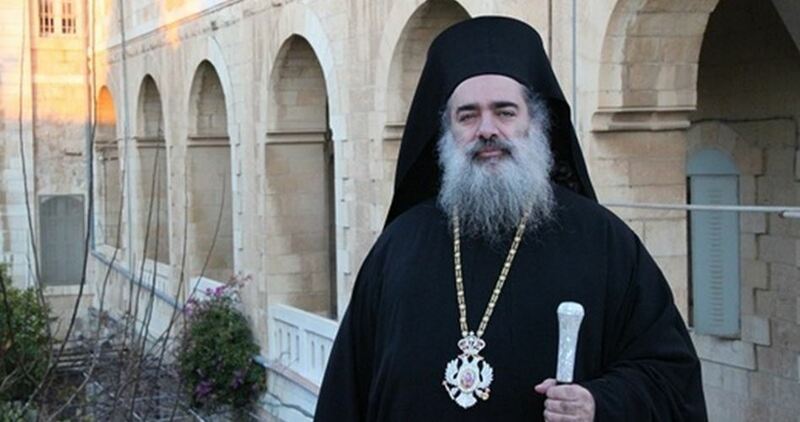 Palestinian factions have condemned the decision of the Greek Patriarch Theophilos to cut off the salary of Palestinian archbishop Atallah Hanna due to his outspokenness and principled stances on Palestinian rights. Such a measure would not help solving problems, a statement by the factions said and expressed solidarity with the archbishop. The factions called for addressing the differences in a spirit of fraternity. On the other hand, the national factions expressed gratitude for the Palestinian Christians who refused Israel’s Adhan ban bill in occupied Jerusalem. The statement also hailed Father Manuel Musallam’s national position after he raised Adhan in a church in a bid to protest against the Israeli bill which would prohibit mosques from using loudspeakers for delivering call to prayer (Adhan) in occupied Jerusalem. Palestinian Prime Minister Rami Hamdallah on Saturday evening officially lit the Christmas tree in Bethlehem's Manger Square during a ceremony to open this year's Christmas celebrations. Hamdallah was joined by the Minister of Tourism Rula Maaya along with the governor of Bethlehem Jibrin al-Bakri, the mayor of Bethlehem city Vera Baboun, and hundreds of citizens. "The message of mercifulness which we launch today from the land of Palestine as it embraces Christmas to the whole international community and to all countries of the world, is that it's time the Palestinian people gain their freedom and independence, and that Israel has to stop its violations against our people, our land, and our holy places," Hamdallah said in a speech during the ceremony. “About 350 Palestinian children and minors are serving in Israeli jails, and Gaza is moaning under a crippling siege which confiscated all the constituents of life leaving our people prey of illness, poverty, and pollution." Hamdallah accused Israel of tearing down more opportunities for peace and more efforts to resume the process "despite that our people, both Muslims and Christians long for peace, freedom, mercy, and human justice as they cling to their heritage of coexistence, brotherliness, and love." On this day last year, 106 Palestinians had been killed by Israelis in a wave of unrest that began in October 2015, and has continued into the present, with a total current death toll of 245 Palestinians and 36 Israelis. 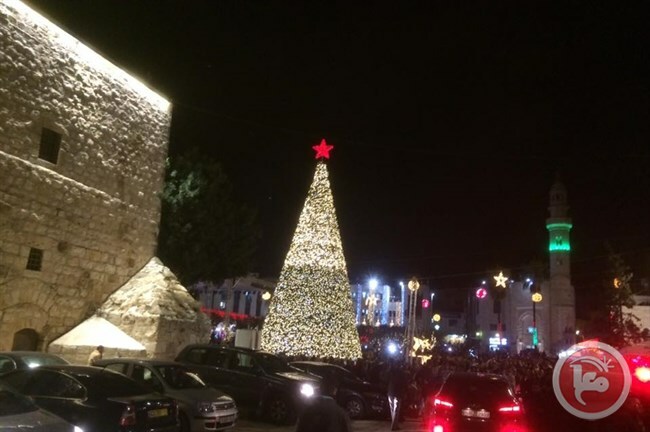 During last year’s tree lighting ceremony, mayor Baboun said in a press conference that it was Bethlehem's "duty" to go ahead with the celebrations, despite the ongoing violence that overshadowed the celebrations. 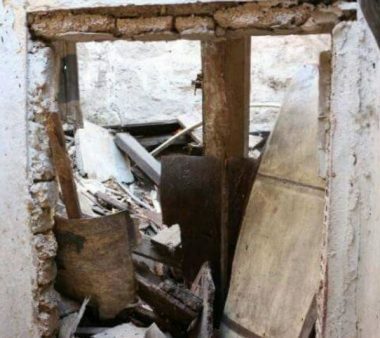 Many extremist illegal Israeli colonists, living in an outpost above the Church of Holy Sepulcher, in occupied Jerusalem, attacked the church property, causing damage, and attempted to occupy a room belonging to the church. The attack caused excessive damage to the church property, while priests and church officials called the police, who later came to the church and were shown the damage. The Nativity TV in Bethlehem has published a video of the attack’s aftermath, also showing a Greek Orthodox priest talking to Israeli police officers while inspecting the damage. The video also shows illegal settlers in their outpost right above the building, with the Israeli flags raised above it. 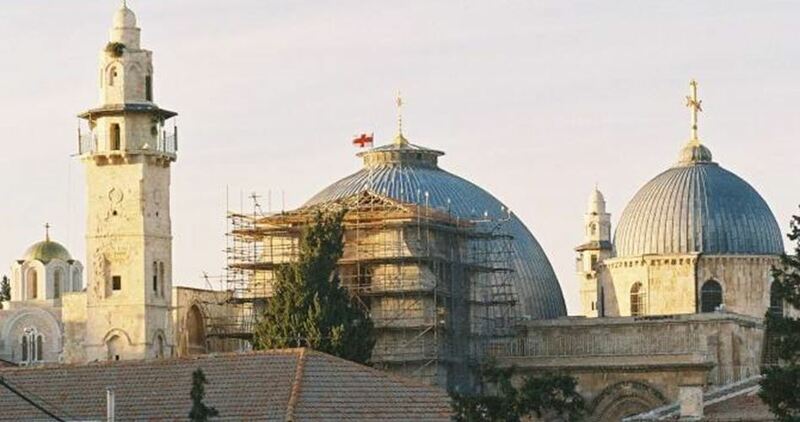 Greek Orthodox Archbishop of Sebastia Atallah Hanna strongly condemned in a press release issued Tuesday the Israeli bill to ban Muslim call to prayer (Adhan) over loudspeakers in occupied Jerusalem. Hanna considered the Israeli ban as “a dangerous and unprecedented step that comes as part of Israel's racist policy aiming to Judaize Jerusalem”. Today, they are targeting mosques and tomorrow is the churches’ turn, he said. We will remain in our lands and we will never give up our holy city, Hanna added. Our mosques and churches will forever be a source of peace, love, and brotherhood. He concluded by calling for uniting all Palestinian efforts to confront Israeli racist measures. Father Atallah Hanna, Archbishop of the Palestinian Orthodox Church in Occupied Jerusalem, has expressed his rejection of any visits by Arab figures and delegations to Palestine in order to normalize relations with the Israeli occupation. “We noticed lately that there were visits of a pro-normalization nature that were far away from any solidarity with the Palestinian people. 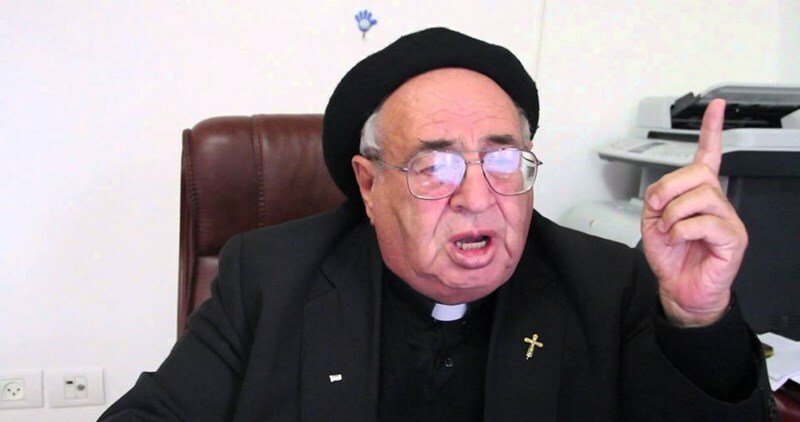 They are political and media figures visiting Palestine in order to show solidarity with the occupation without any consideration for any moral, human or national values,” Father Hanna stated in a press release. The Archbishop stressed that such visits would harm the Palestinian cause and serve the Israeli occupation that seeks to promote its story and justify its policies towards the Palestinian people. “Such suspicious visits that we have seen recently are a serious and worrying development,” he said, affirming that he would not receive any members of these delegations during their visit to Jerusalem.